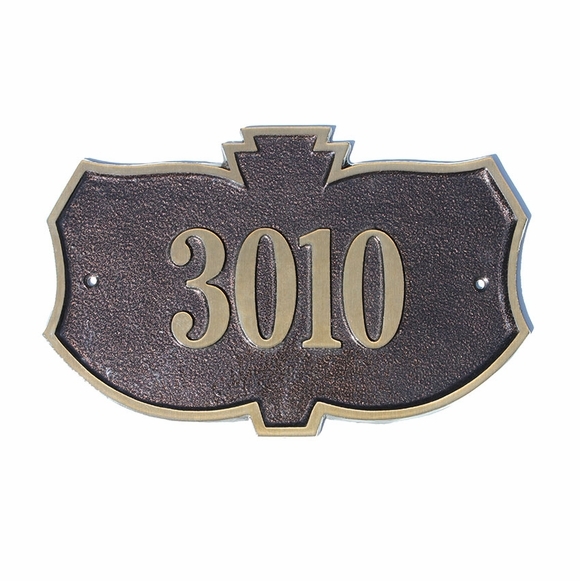 Personalized Leaf Shape Cast Brass Address Sign - - single-line address plaque holds up to five 3" characters. Made in USA. This 12"W x 8"H plaque has numerous corners and a unique profile that resembles a stretched-out maple leaf. Dimensions: 12" x 8"; weighs 4 pounds.